NEW YORK, U.S. — The number seven is about to become the new favorite number for Tim Hortons guests. Not only was the number seven hockey legend Tim Horton’s retiring jersey number, but also starting today, Americans will be rewarded after every seventh visit with new Tims Rewards. *Valid only at participating restaurants. An eligible purchase is a transaction greater than $.50 (after discounts, and excl. tax). Beverage and baked good selection and availability may vary by restaurant. Rewards have expiration dates that vary per reward. Please see Terms and Conditions for more details at http://www.timhortons.com/rewards. ** Valid only until April 30, 2019 at participating restaurants. Earn a free hot brewed coffee or hot tea of any size, or a free single baked good (excluding bagels and Timbits® donuts) reward when you register your Tims Rewards online at http//www.timhortons.com/rewards or on the Tim Hortons® Mobile App. Limit one per person. 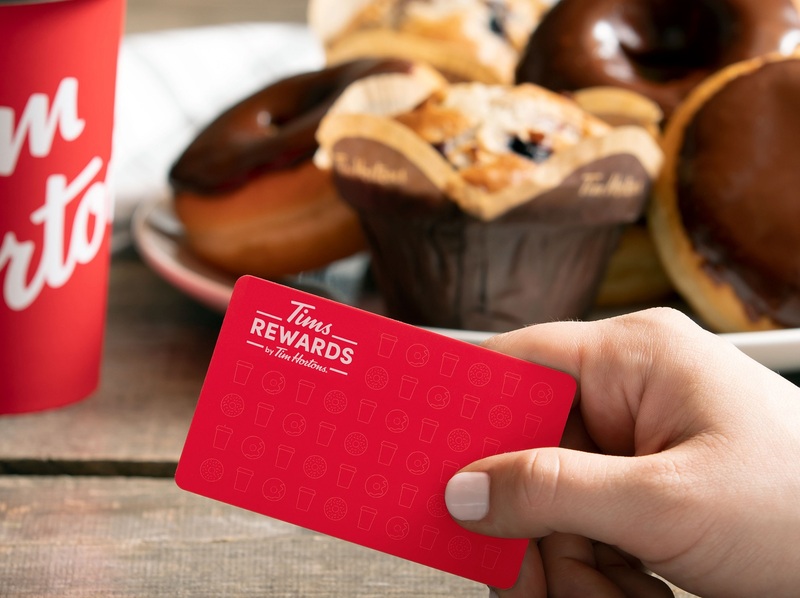 For physical cards, free registration reward valid after in-restaurant purchase using Tims Rewards physical card followed by online registration. For digital cards, free registration reward valid once first purchase is made after registration.